← I need your help and support – Saving Sensory! OK so I have decided to revive my blog. Things have moved on for us a fair but since I last wrote, but one big thing that is still in or lives is Sensory Integration, and my passion to see it available to more families with special kids is growing every day. I wrote this piece ages ago and I’m not sure why I never published it, but as it is about SI it seems like a good place to start. I wish I could show you the change in my son over the last 3 years. The day we met our first Si trained OT he was unable to make eye contact, unable to eat anything other than cheerios with milk, I couldn’t take him out in the wind or rain. His speech and language were falling behind so quickly. My stress levels were through the roof. Sue, the OT we met that day was the first person I had met since Charlie was born who didn’t make me feel like the whole situation was my fault and also had some idea and a practical plan about what we could do about it. Even now 6 years later I still don’t have the words to describe the agony of not being able to feed my child, it is such a basic need that should be so easy to meet, the instinct of a mother to be able to feed and protect her child is incredibly deep seated and the inability to meet that need causes a pain equally as deep, the devastation I felt at not being able to breastfeed however was only the beginning of the very long hard road we had just begun walking. As Charlie grew feeding continued to be an ongoing battle and a huge source of stress. As a family we love to eat and socialise but most of the time we used to just avoid eating out with Charlie. Until we learnt about sensory processing and integration we were clueless, we had absolutely no idea why he simply couldn’t cope. Restaurants and even meals at friend’s homes became off limits; after a few meltdowns we decided it wasn’t really worth the effort. None of the professionals we saw during that time were able to offer us any answers or practical help. I had no support, no idea why my son wouldn’t eat, or why he couldn’t cope with other basic daily activities and no plan for doing anything about it. One incident stands out very clearly in my memory. 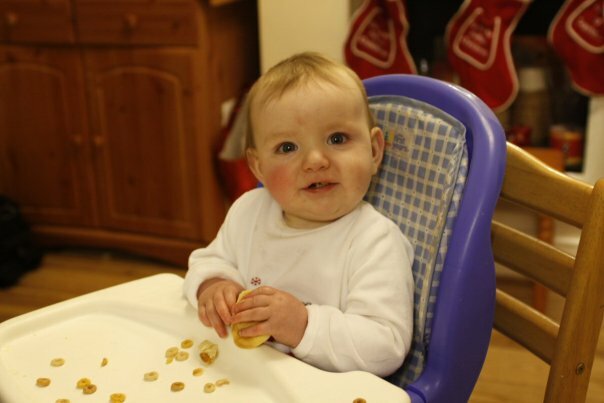 Charlie was able to sit upright in his high chair, I had presented him with a mixture of dry Cheerios and Smarties. He spent the next half hour using his new found skills to pick out each Smartie one by one and throw it across the room whilst eating all the Cheerios. I knew something was not right, but I didn’t know what. I had never met a child before who would actively select breakfast cereal over candy. What was going on? Unfortunately, it would be three more years before we understood any of these early behaviours. Then one day the answer came, I came across the book which changed my life, It was old and tatty and kind of out of date, there are now newer versions with more up to date information, but this is the book that I will remember forever, this is the book that finally held the answers we had spent four years looking for. “Find an occupational therapist working within a sensory integration framework” I had NO idea what they even meant but I knew I had to find someone who fitted the description in the book, and there began one of the most interesting journeys of discovery of my life, I will write more about our journey in the next post. There are no words to describe how much I needed to hear that. From the reading I had already done I understood that Charlie was struggling with tactile defensiveness, I had read about how using a brushing technique could help with this and I wanted to try it out. I asked the OT to train me how to use the brush and to oversee Charlie’s reaction to it. Sue was careful to ensure that Charlie was happy to be brushed, she taught us how to use the brush at regular intervals during the day to give tactile input and how to combine this with proprioceptive input from joint compressions and other hard work activities. Charlie loved the Brush, Thank God!! Since then we have worked with other OT’s, we have made many sensory environmental changes to our house, and Charlie has lots of sensory activities in his daily routine. We no longer use the brush unless he asks for it. Life is good. Now I feel like I owe these people my sanity, I am in a better place, no longer fighting, but able to help others to fight for their own kids and that is a good place to be. Sensory integration is life changing, not just for the kids but for the parents who are wondering around in the dark desperately trying to find answers and ways to help their little ones. We owe a massive debt of gratitude to the all OT’s who have helped and supported us on our journey, but especially to Sensory Integration network for their ongoing work in promoting SI training and research in the UK, and for welcoming us as parents to be part of their team.